We converted our attic into a homestead sleeping loft. With 4 girls, space is at a premium here on our homestead. Katie has been insistent on having her own functional space. 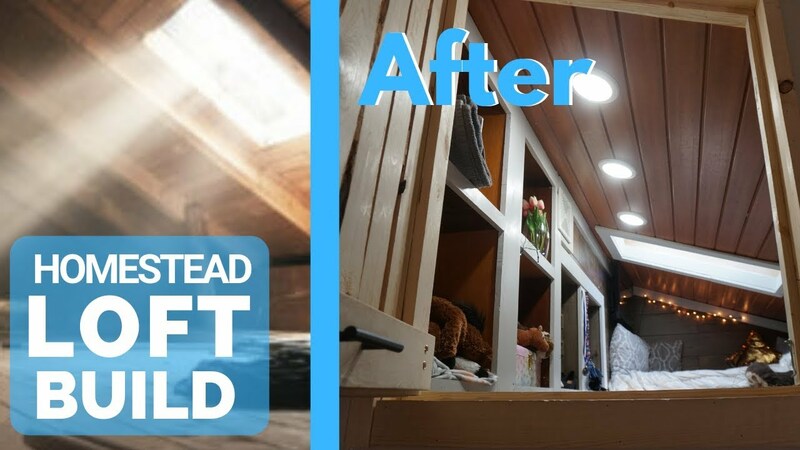 After building a pretty awesome tiny house and really falling in love with how the loft for it turned out, we decided why not create a sleeping loft in our homestead attic? And that is just what we did. See how it all turned out!